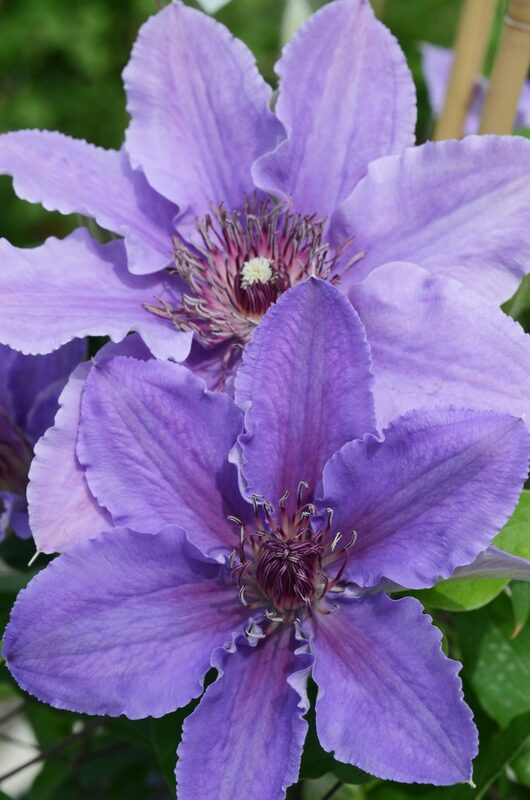 This compact, free flowering clematis produces 4” flowers that are lavender-blue with ruffly edges. 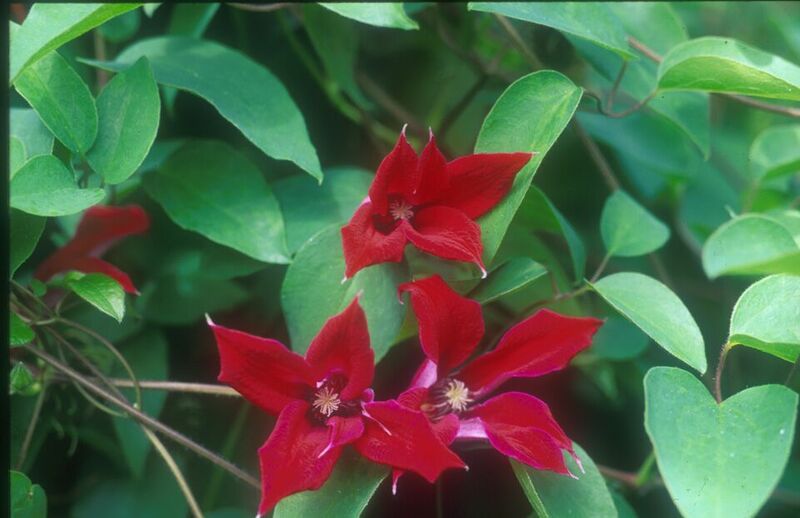 Its full red/grey anthers are contrasting and eye-catching. 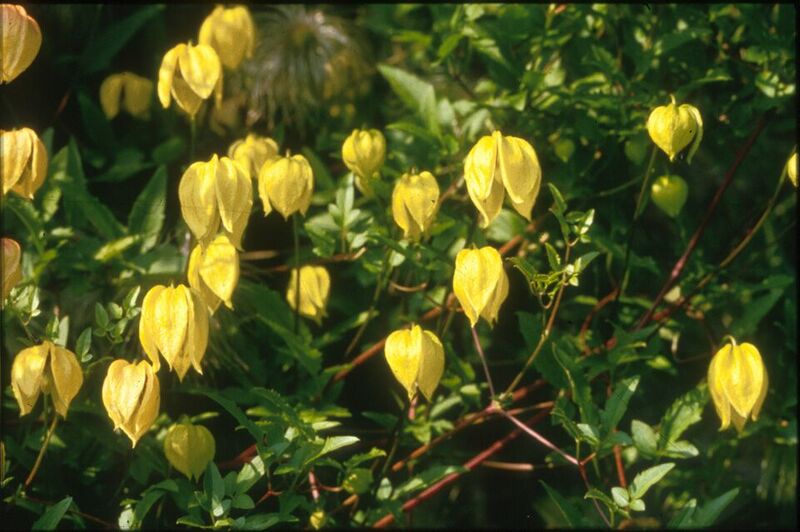 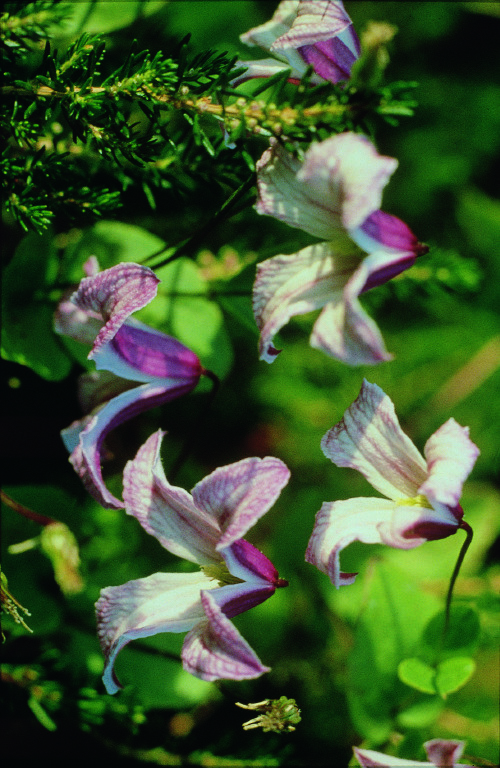 A repeat flowering clematis that blooms early to late summer and again in the fall.